On 7th July 2017 Liverpool Learning Partnership will be holding its second annual Maths Party Day in schools and children’s centres across the city. 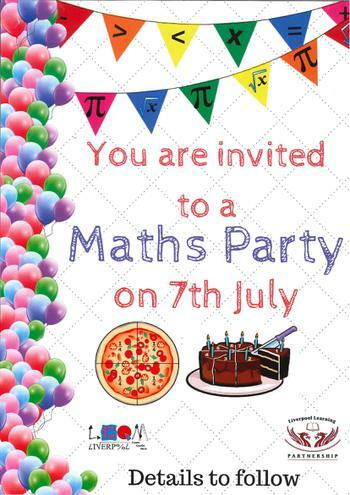 The purpose of the Party Day is to celebrate all facets of Maths and its relevance to our lives. Liverpool Learning Partnership has developed Virtual Party Bags for schools to provide activities (online and offline) for families to enjoy at home.